The removal of more than 2,000 country stiles on public paths in Kent has made post-Christmas walks a little easier this year, the county council has said. Stiles have been removed from public pathways in a bid to improve access to the countryside for everyone. Rights of Way officers have either removed stiles completely to leave a gap or have installed a gate, to make it easier to walk unhindered. 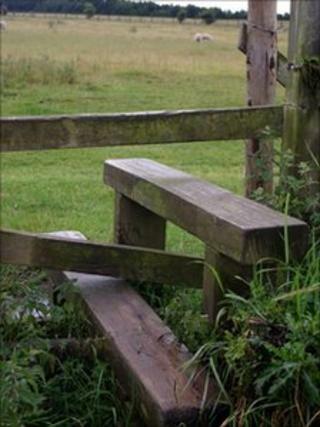 Work has taken place to remove stiles across Kent's rural and coastal areas. Councillor Nick Chard, environment spokesman, said it was a major campaign by the countryside access service that had "exceeded expectations". He said: "This significantly improves the access for walkers wanting to explore the beautiful Kent countryside." Kent County Council is hoping that improving access will encourage more people to visit the countryside and help the rural economy to prosper.